It’s hard to believe the man standing on the darkened Burlington stage, casually going through his soundcheck, was once on the brink of death. 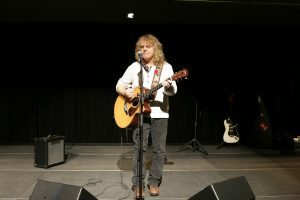 Carl Dixon was the frontman for Coney Hatch, April Wine and the Guess Who. 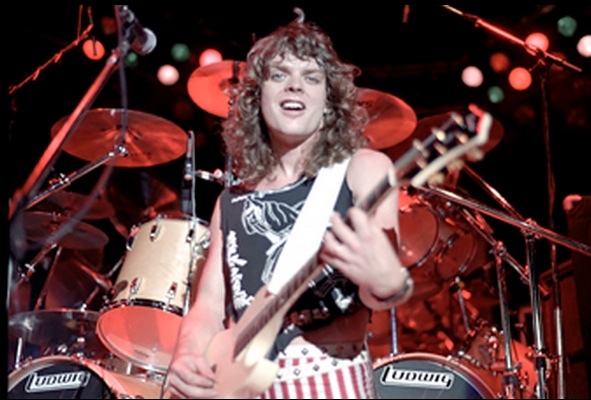 He’s a Canadian who toured with Iron Maiden, Judas Priest and Ted Nugent. Carl Dixon, 1982, in the original video release of Coney Hatch Devil’s Deck. The doctors wanted to amputate his left leg and right arm. Even if he did make it out of the coma, as a musician, his life may be over. Dixon was visiting Australia when he accidentally drove on the wrong side of a dark, country road and was hit head on by a land cruiser. The collision left Dixon and his car both crushed. 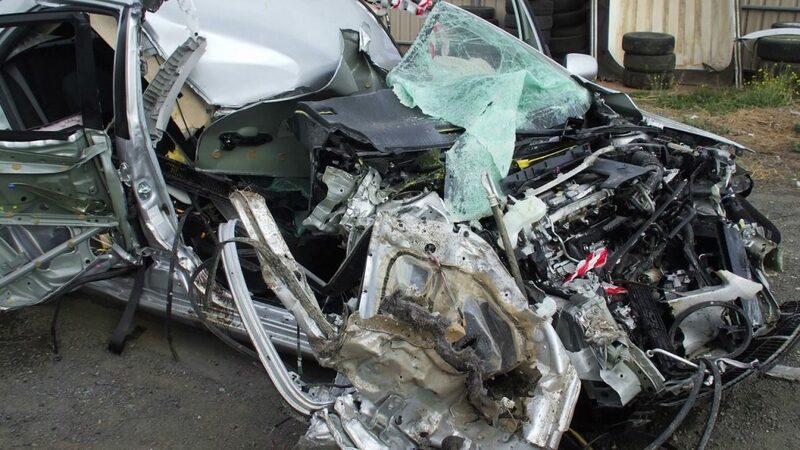 Carl Dixon’s car from his 2008 crash. This haunts Dixon to this day. He was in a medically induced coma for 10 days but, luckily doctors put him back together in one piece. Although Dixon doesn’t recall, he was told when he woke up from the coma one of the first things he asked for was a beer; Rolling Rock is his favourite. He was hospitalized for months where he slowly began to relearn his motor skills after suffering “major head trauma,” says Dixon, as he tunes his guitar. 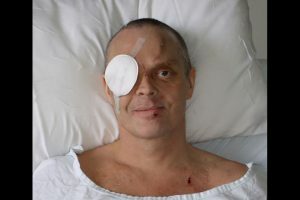 Dixon had about 50 different injuries– broken bones, arm ripped to shreds, his face was totally torn off, lost his right eye, titanium mesh in his head, metal holding his legs, arms and face. He had a terrible concussion with significant memory loss. He suffered brain damage but the doctors put him through a series of tests to rebuild his ability to remember things. “You don’t fully recover. There’s parts of me that ache like hell… some crafty little Asian lady with tiny delicate hands sewed me all up,” he says. Doctors say if he wasn’t in such great physical shape he would have died from the blood loss alone. Two days after the day of the accident he was supposed to get on a plane and play a show with the Guess Who in Mississippi but obviously he never made it. He felt like he was letting down his band and family. Unfortunately, the Guess Who couldn’t wait for his recovery but Dixon understood. Although doctors wanted him to stay in the hospital for longer, after five months Dixon insisted on being allowed to go back home, to Canada. In spite of his accident he continued to play music. Twenty-eight years after the release of their last album Coney Hatch regrouped, keeping a promise made while he was in his coma– that if he survived they’d release a new album. He even joined the Guess Who as a guest lead singer for two performances in 2016. To this day he and other rock star pioneers get together for gigs and for laughs. Carl Dixon at a soundcheck in Burlington, last month. As his soundcheck at the Burlington Performing Arts Centre comes to a close, lights are up and Dixon takes centerstage, he reminisces about his younger days as a musician. From playing small gigs and pubs in Canada, to landing an international record deal with the same guy who managed Rush. Touring all over the world and having thousands of fans screaming their names, thinking it will never end. He speaks to the immaturity within the young band members and about being in Canada, considered a star yet not being able to pay your rent. Dixon says he was an intensely serious young man who lightened up a lot as he got older. With all his trials and tribulations, he continues to rock and share his story to this day.